Roger J. Hughlock, B.D.S. U.Liv.,M.F.G.D.P.(U.K.). Position: Dental Surgeon. G.D.C. Registration Number: 44536 B.D.S. U.Liv.,M.F.G.D.P.(U.K.). I qualified in 1970 at Liverpool University attaining a BDS and in 1972 became a co-owner of Lowerbank Dental Practice which is one of the largest practices of its type in the country. 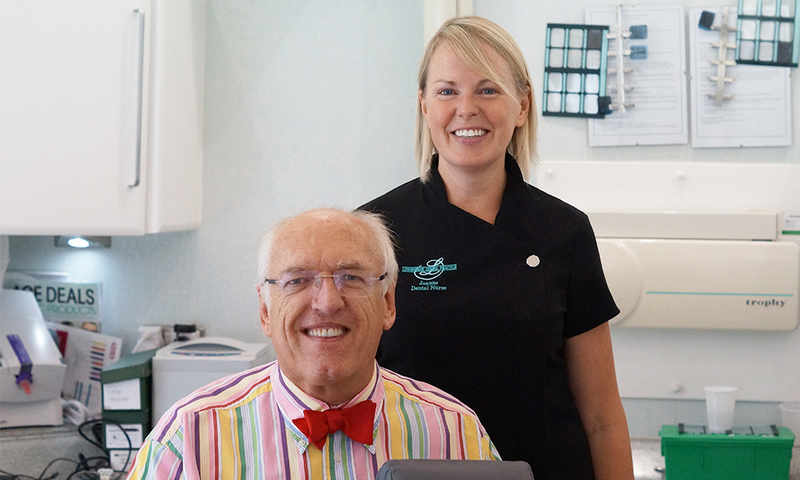 It has 7 dentists, 4 hygienists and 15 qualified staff. In 1992 I was awarded by election the MFGDP (UK). From 1975 I only saw people on a private contract and developed an interest and passion for all types of restorative dentistry. I learned to know about restorative, aesthetic and cosmetic dentistry, endodontics and the restorative and surgical side of implant dentistry. My knowledge of these was gained on post graduate education courses often connected to universities. I have travelled to Scandinavia, Germany and Italy also on dental education courses. I have completed in excess of 35,000 crowns and bridges and have been successfully involved in implants since 1989. I worked as a surgical assistant at the Oral Surgery Department at Royal Preston Hospital for a year during this time. I am regularly involved in every sort of surgical dentistry from cyst removal and impacted wisdom teeth removal. My clientele come from every walk of life. I have lectured in various parts of the country and at national conferences on restorative dentistry, implants, TMJ and other subjects. I was the Chairman of the North West Private Practitioners Group of the British Dental Association for ten years. I have written and had published many dental articles. However, I concentrate my activities in clinical dentistry and work entirely on a private contract basis.